Your decisions determine the success of your business. The condition of your mind determines the outcome of your enterprise. How strong-hearted are you? What is your disposition to risks and danger? Do you stay put until you achieve success or you give up in the sight of danger? Are you motivated to pay the price for a thriving business? One of the primary things to focus on is the state of your mind. It determines your outcome in the long run. You need to do all you can to keep the drive for success you once had. It is no lie that you will encounter challenges in your enterprise. Challenges are not wrong. What is wrong is giving up. Focus on your mind. Do not permit discouragement. When you are experiencing challenges, everyone will have something to say. Be careful not to allow the wrong opinion of men affect your mind. Focus on your mind. Focus on your dream. Focus on the height you want your business to reach. Read more about how your mind affects your business. There is a need for you to keep an eye on maintaining a good standard. A business owner that wants to succeed can’t afford to build on falsity. As your business expands, ensure that you stick to the standard. The mistake many business owners commit is to lower the standard to make more money. After gaining the trust of their customers, they reduce the quality of their products. Be original. Be you. Focus on maintaining the standard that earned the trust of your consumers. Desist from the temptation of imitation. Do not seek to imitate the top shots in your line of business.To build a thriving business, your customers must know your allegiance to originality. Your staff is your strength. Never find yourself treating your staff in an inhumane manner. They are the tools for the actualization of your business goals. Pay them a salary that is commensurate with their services. Do not be in the habit of withholding or shortchanging their pay. More often than not, employees are aware of the company’s financial capacity. Focus on being fair to them at all times. Provide an enabling environment for them. Ensure that they lack no infrastructure and skills they need to succeed. Make it easy for them to discharge their corporate goals. Invest in them through training and seminars. Have a well-defined career development programme for them. The money you spend on them is not a waste. You will get the harvest through commitment, support and loyalty. 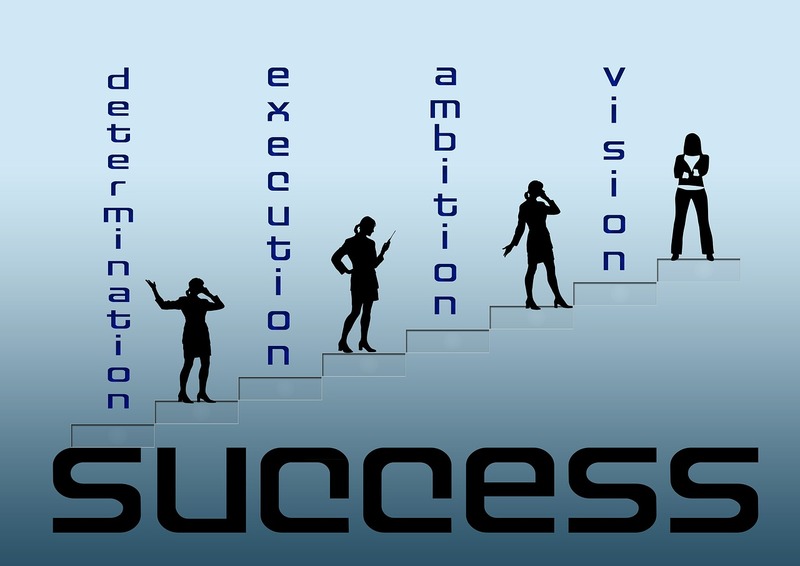 These, you would agree, are the basic ingredients for a thriving business. Show your employees that you care about them. Do not allow your desire for success blind you to them. Show concern for other aspects of their lives. Have periodic events for their family, recreation and support. A well-loved employee goes all the way to achieve their organisational goals. A thriving business is a result of proper awareness and adverts. No one can build a thriving business without adequate awareness. Use the necessary means to create awareness about your products and services. You can only build a great business on good adverts. Take time to study the mode of advert that is arresting your target audience. To build a successful business, you need to focus on the changes in the adverts world. Know the form of adverts that would capture your audience. For instance, the online community is at the helm of adverts in this age. In the world of business today, the online platforms are ideal for adverts. You need to focus on building a strong online presence. Having an online presence for your business isn’t all you need to do. To build a thriving business, you need to have a good team that will manage your search engine optimizations (SEO) online. This is how your prospects can find you easily only. There are also several companies that offers pay-per-click (PPC) management services that you can use to boost your online presence. Be creative in your approach. To build a thriving business, you need to focus on the cash flow. The cash flow in your business must support your business growth. Pay attention to the inflow and the outflow of cash. Ensure that the money that comes in supersedes the one that goes out. Not focusing on the amount you spend may affect the growth of your business. Track the recurring expenses and avoid waste. Prevent your business from spending more money than it makes. Do not leave the job of approving the outflow of money to your financial manager. Be committed. Know where each penny goes. Tie each penny to what contributes to the growth of your business. As a business person, every money you spend is an investment. Bear it in mind that you exist in the business world to make a profit. Focus on the money that comes in. This is the key to business breakthrough. Chances are there are other business outfits offering the same services as you do. In your quest to build a strong business enterprise, you should pay attention to them. Your competition can send you out of business. focus on them. Do not take them for granted, especially the big shots. Pay attention to the way they run their enterprise. Their decision may be a result of a good research. You can glean some wisdom from them. You can turn your competition to a compass to know where to turn. But, do not lose your identity to them. Building a thriving business could be a risky attempt. This is because the bigger your business, the more attention it gets. Focus on the government policies that affect your line of business. Learn and know both the existing and the new ones. You don’t your business come crashing down due to tax evasion issues. Knowing the policies that govern your business in your region is an advantage. Keep a clean record and conduct your affairs according to the law of your region.